One&Only Hayman Island, Australia’s iconic private island resort in the heart of the Great Barrier Reef, will begin welcoming guests on July 1st 2014 and will redefine luxury for the Australian market. The resort has been reimagined, introducing new accommodation, redesigned spaces and the unrivalled One&Only experience. The design, interiors and landscape architecture are the result of collaboration between Kerzner International Development, the prominent team that introduced the world to One&Only Reethi Rah in The Maldives as well as One&Only The Palm in Dubai and DBI Design, award-winning Australian designers renowned for their global expertise. 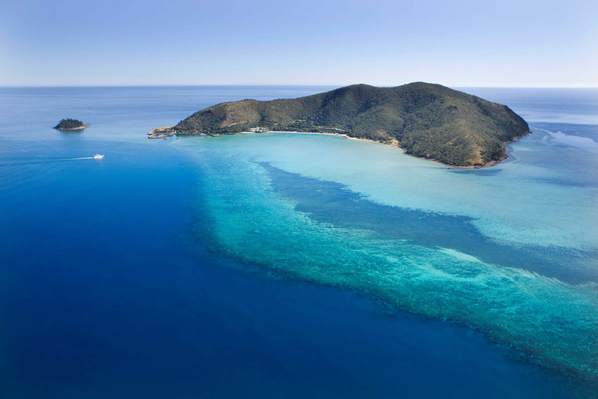 The resort is currently completing a multi-million dollar refurbishment and guests will be able to discover One&Only Hayman Island as of July. 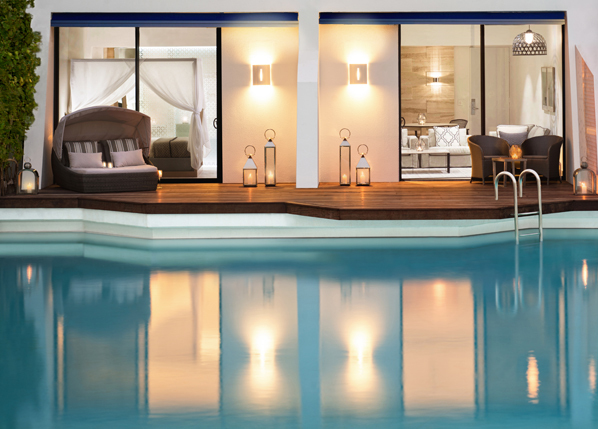 One&Only Hayman Island will offer reimagined resort living in beautifully appointed guest rooms, suites, villas and penthouses, set among expansive pools, lush gardens and two kilometres of pristine white sand beaches. With the new ultra-luxury configuration, almost half of the accommodation will be a suite, villa or penthouse, offering a wide variety of choice, whether for couples, groups or families—including multi-generational families. Located in three distinct areas of the resort, each accommodation offers a different ambiance, and each designed to take advantage of the breath-taking views of shades of teal and indigo of the ocean and the natural surroundings. The iconic One&Only Hayman Pool has been given a renewed energy with private cabanas and daybeds and is the perfect location to enjoy day to evening with the effortlessly chic On the Rocks restaurant and bar. The resort is also introducing the brand new Aquazure Pool, offering a comprehensive experience for families including cabanas and an infinity edge pool with a zero entry for children. Unveiled for the first time, the newly designed Pool Wing will be transformed to an all-suite experience, each overlooking the iconic One&Only Hayman Pool and offer breathtaking ocean views. Each suite will provide separate living and dining areas and spacious decks for relaxing. Pool level suites also offer direct swim-out access, allowing guests to enjoy the water straight from their own pool terrace. The One&Only Hayman Wing will offer chic, relaxed guest rooms through to the grand one-, two- and three-bedroom Penthouse Residences, including one created by the legendary fashion designer Diane Von Furstenberg. Newly refurbished with One&Only signature style and sophistication, guest rooms are generously proportioned set within a lush landscape, just steps from One&Only Hayman Beach and the Coral Sea. 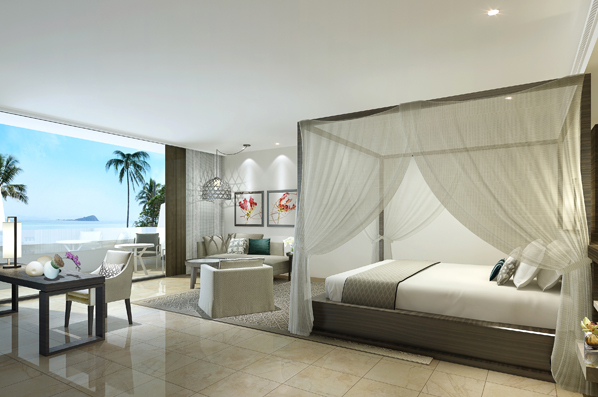 Most guest rooms feature ocean views, whilst some rooms will enjoy overlooking the serene lily lagoon. The interiors are luxurious with a pleasing aesthetic of understated elegance, playing off a neutral palate, in tune with the natural surroundings, with decadent canopy beds, pale linen furnishings and smart geometric accents set the stage for relaxation. The spectacular collection of Kerry Hill‐designed Beach Villas and the freestanding private Beach House are perfect for those guests that want to be directly on the beach. In their new One&Only configuration, the beach villas not only offer a private pool and direct access to One&Only Hayman Beach, but are also partnered with Retreat Rooms located directly behind to accommodate larger groups, creating the perfect Australian beach holiday for families. “One&Only Hayman Island is our first resort in the Asia Pacific region, and we are excited to introduce our One&Only style to this part of the world,” said Alan Leibman, chief executive, Kerzner International.